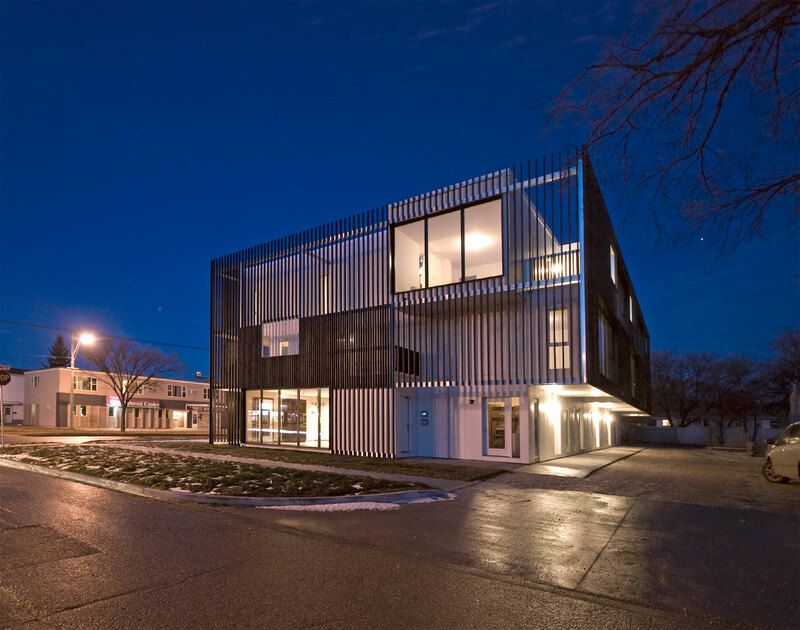 Bloc_10 is a condominium project situated on a busy traffic corridor in Winnipeg’s post-war neighbourhood of River Heights. Starting from a standard, three-storey vertical volume, the individual floor plates of each walk-up are strung together along a common service core, then staggered across the site to provide unique unit compositions and a multiplicity of views. Dotted across each elevation are six-foot-deep cantilevered projections that extend the useable floor area on alternating levels. 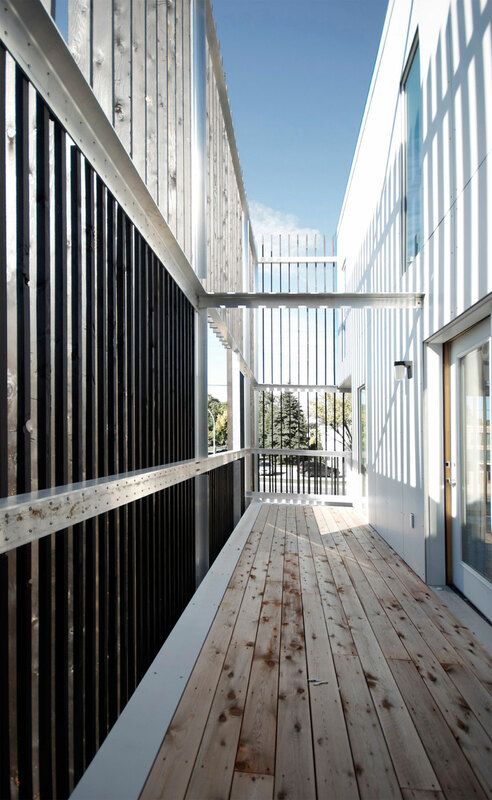 Intermediate decks criss-cross the entire façade, shielded from the street and traffic noise by a protective veil of wooden slats. "This eye-catching block of multi-family housing re-works the familiar typology of the low-rise terrace block to striking effect. Apartments fit together with the pleasing complexity and ingenuity of a Chinese puzzle, offering spatial and experiential variety. 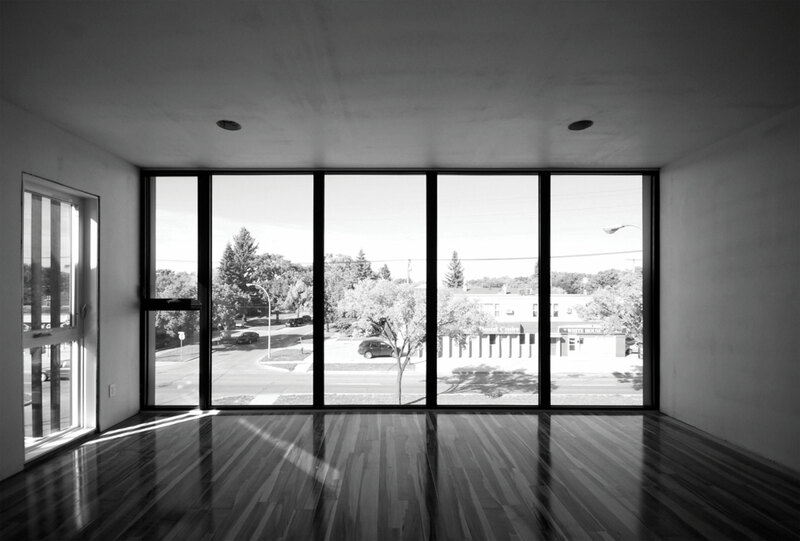 Thoughtful consideration of materials gives the scheme an uplifting confidence within its unremarkable suburban context. 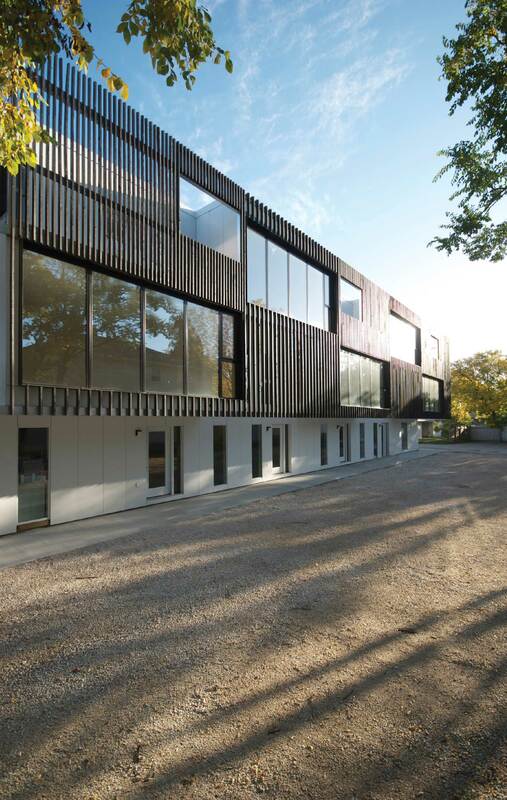 Handled with sensitivity and flair, this project shows what can be achieved by applying intelligence and imagination to an often disregarded building type."